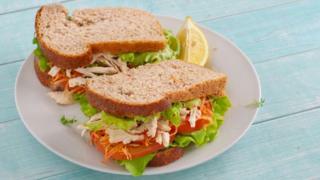 A German man has been given a life sentence after poisoning his colleagues' lunches, leaving one man in a permanent vegetative state. The 57-year-old man, named only as Klaus O, was arrested last year after a security camera captured him placing a powder on a colleague's sandwich. He will not be eligible to have his sentence reduced after the judge found he was a "danger to the general public", the Süddeutsche Zeitung newspaper reported. A psychologist told the trial that Klaus O "came across like a researcher who was trying to see how different substances affected rabbits", German news agency DPA reported.